ALL FM stations Plays well in Google Chrome or Mozilla Firefox browsers . 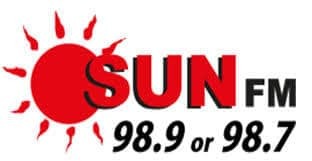 This FM Sri Lanka’s sunniest radio station, a proud brand of the Asia Broadcasting Corporation Private limited.Sri Lanka’s youth English trend setter Sun FM. This FM Sri Lanka Frequency is 98.9 or 98.7 . If you still cant listen radio Please click Contact Us button and we will get back to you soon . Disclaimer: None of the FM Radio stations in this Website are broadcasted by Us.We get the Latest Stream URLs and Update them with Proper Plugin and make them available for Audience.If any Violation of Copy Rights is noticed please Contact us by clicking the Contact Us button.We will remove the respective from Our Directory.